On February 20, 2018, GetSmarter welcomed 60 guests onto their Observatory campus, under the banner of an event celebrating Women in Leadership. This special event – one in a series of exclusive networking and lecture series hosted by GetSmarter – featured guest speakers and a panel discussion, all around the theme of helping women to develop a leadership identity. Thelmé Janse van Rensburg was the first speaker of the evening, sharing her insights as one of two female members of the GetSmarter Executive Committee. She spoke of the balancing act between motherhood and business savvy – she has two children under the age of 18 months, born during her two years as Head of Talent – and the necessity of leveraging all the pieces of your life to make you a strong performer in your organisation. “From pieces to peace – all of these pieces of our lives form and shape who we are.” Not being swept away in the chaos of a busy, chaotic lifestyle, but looking at your inherent talents and habits and leveraging them to strategically shape your professional identity. Janse van Rensburg spoke of the necessity of thinking strategically about the value you want to add to an organisation, so you can be deliberate in the actions you take to get there. Cosmopolitan Editor-in-Chief Holly Meadows was next on the evening’s agenda. Since stepping in at the helm of the South African beauty magazine in July 2017, Meadows has faced an array of negative stereotypes. Faced with perceptions that Cosmopolitan is frivolous and shallow, she made it her mission to change that impression, using the brand as a driver for social change to teach women how to be activists in their own spheres and fight gender stereotyping. 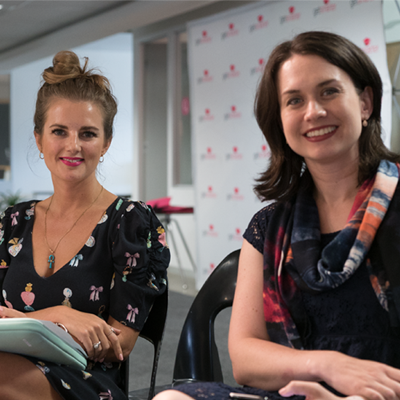 The evening ended with a panel discussion comprised of Janse van Rensburg, Meadows, Entrepreneur and Business Coach Marissa Brendal, and Dr Babita Mathur-Helm, Course Convenor on the Women in Leadership online short course from the University of Stellenbosch Business School Executive Development. The panel fielded questions from the audience about mentorship, strategies for supporting other women in the workplace, and the role that men can play in female empowerment. As part of a competition, attendees tweeted throughout the evening, sharing their highlights and inspiration. 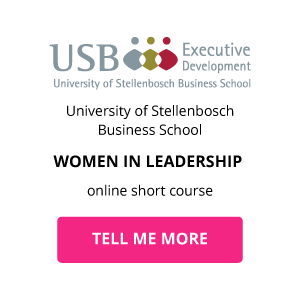 The winner with the best tweet received a complimentary registration for the Women in Leadership online short course, facilitated by USB-ED in collaboration with GetSmarter.